At that morning, we just reached Jessore Sloth Bear Sanctuary. We come out of the car with our gears and lock the doors except the driver side. 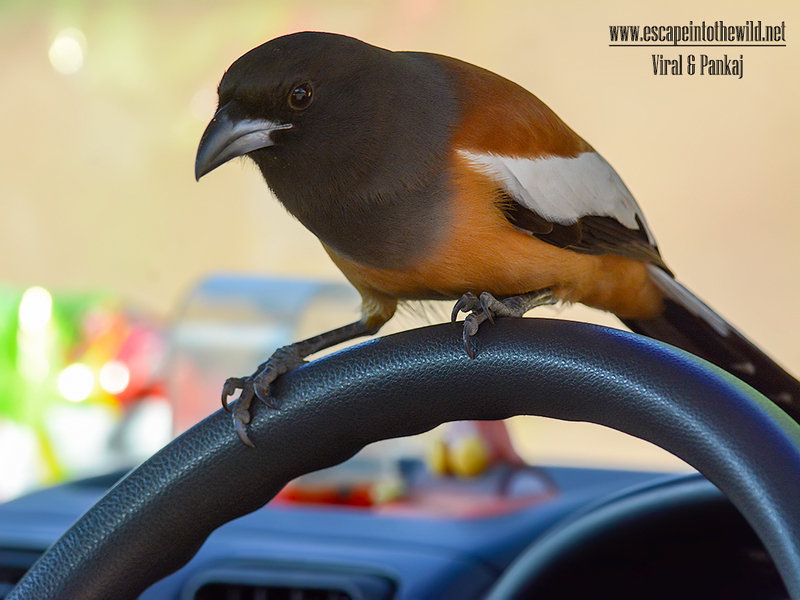 Suddenly a long tailed chestnut-brown bird landed directly on steering wheel…..! Unmistakably it is Rufous Treepie. For a fraction of second, we thought it will be trap into the car and we have to shove it out. But to our surprise it is moving swiftly under the seats of car start feeding on scattered sev-mamara…! And foraging expertly like it’s doing daily. Rufous Treepie is reasonably brave bird. It didn’t shy away from camera and gave excellent performance. We really love to share this funny video clip. 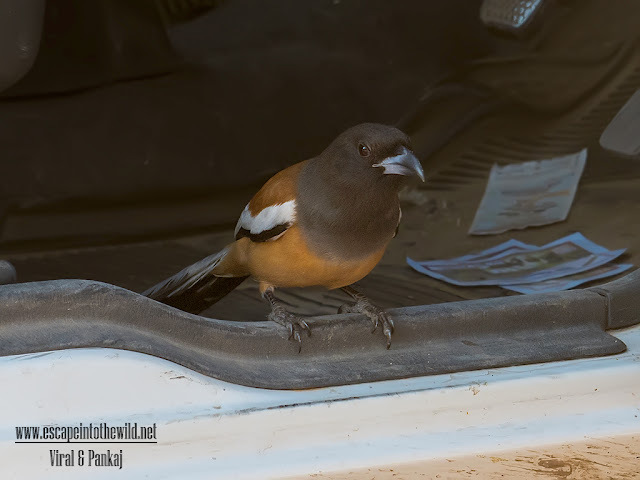 We saw Rufous Treepie scavenging, feeding on leftover snack packets and eating roti morsels in our backyard all the times but foraging in car is another first for us.